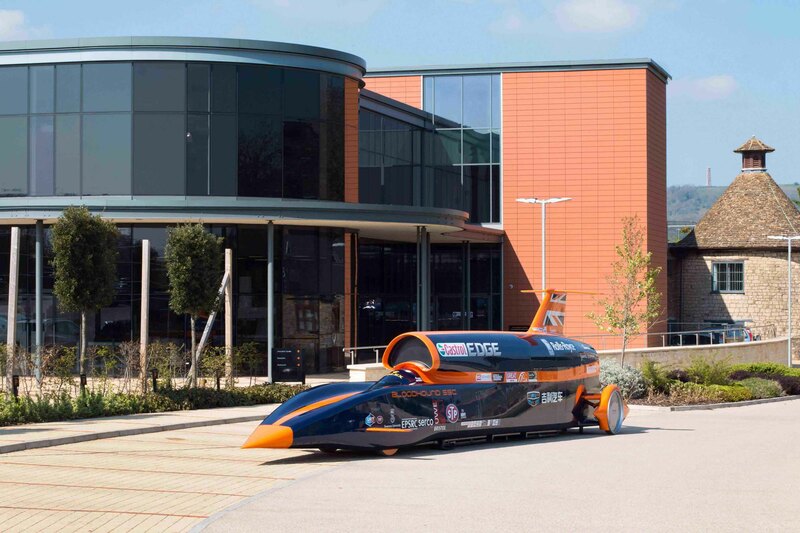 Global engineering technologies company, Renishaw has been named as a stripe sponsor for the car and an education sponsor for the BLOODHOUND project. The stripe sponsorship builds on Renishaw’s work to additively manufacture crucial components on the car and demonstrates its continued support for the project, which shares Renishaw’s focus on technical innovations and inspiring the next generation of engineers. Renishaw has been involved with the project as a product sponsor since 2013, using its additive manufacturing expertise to create the titanium nose tip, which will be the first part of the car to cross the finish line, on its own metal additive manufacturing system. The company has also additively manufactured the car’s titanium steering wheel, designed specifically to match the contours of driver, Andy Green’s hands. As a part of its new sponsorship package, Renishaw will attend the Newquay Public Day on Saturday 28th October and Education Day on Monday 30th October to support the BLOODHOUND Project’s goal of inspiring a new generation of engineers. Renishaw already offers an extensive education outreach programme across South Wales and Gloucestershire to encourage young people into engineering. In 2017, the company held a BLOODHOUND open day at its Gloucestershire headquarters, where 150 primary school children were able to see a full-scale model of the car to get them excited and engaged with the project.